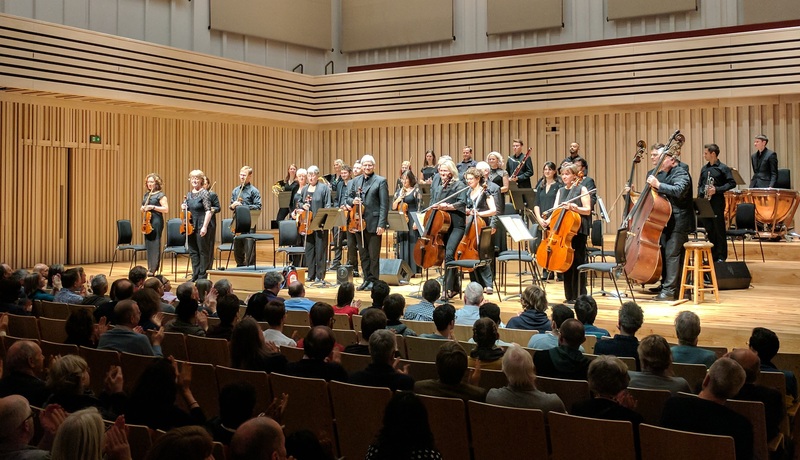 The Northern Chamber Orchestra is regularly engaged by event and festival promoters, choral societies and music societies who are keen to work with a top, professional chamber orchestra. We have the experience, versatility and expertise to perform your chosen works or help you to develop an engaging programme suitable for your audience and budgets. The orchestra is also regularly engaged to develop entertaining, interactive, music-making sessions for children – for example, as part of a festival’s ‘Family Friendly’ programming. On the concert platform, the orchestra typically comprises between 16 – 20 players (depending upon repertoire) and is directed from the Lead Violinist’s Chair by the Artistic Director, Nicholas Ward. For outdoor fireworks concerts the orchestra size may be increased to approximately 50 players, if required. On a more intimate scale, the NCO musicians perform in smaller groups as NCO Soloists: the String Quartet and String Quintet (very popular with music societies), Wind Ensemble and Brass. The Northern Chamber Orchestra has a great deal of experience of accompanying choral societies and working with their conductors. The orchestra is happy to incorporate the work of living composers (both established and less experienced) and is always open to suggestions from promoters. It is equally ‘at home’ working with emerging young soloists and established performers. Follow this link for more information on the choirs, choral societies and festivals that we have worked with.